Dr Raul Cetto discusses the ageing process of the male lower face and possible treatment approaches. In the developmental stage, both male and female faces are essentially the same. 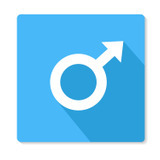 The male face later develops its characteristic features due to multiple peaks of testosterone. When treating all genders, it is important to be cognisant of the five layers: skin, superficial fat, superficial musculo-aponeurotic system (SMAS), deep fat and bone. An in-depth knowledge of the pertinent structures is crucial to understanding the process of ageing and the development of a successful treatment strategy. Both male and female patients have the same anatomy and go through the same steps during the ageing process, which are described below. Interestingly, female patients can appear masculinised as part of the ageing process as the soft tissues around the mandible prolapse and give the appearance of a square face. To develop a successful treatment strategy, a consultation and detailed assessment should be carried out. After establishing what the patient’s aesthetic wishes are, a comprehensive facial assessment must take place. Anterior, lateral and dynamic assessment of the lower face should be performed. For men, we pay particular attention to chin projection, chin line and lateral mandibular projection from the anterior view. The male chin, as discussed, is broader and flat distally. The chin’s width will usually correspond to the width of the mouth. From the same anterior perspective, we evaluate the lateral projection of the mandible, which in the male patient is also broader, and when compared to the mid-face, a vertical line can be drawn from the point of maximum lateral projection of the zygoma to the mandible, giving the male face a squared appearance, responsible for the characteristic chiselled male ideal.7 In a lateral view, we assess the gonial angle, which is sharper in a male patient (<130) and the mandibular line towards the chin, which should be uninterrupted. The pogonium should be within 0.5mm from a vertical line drawn from the nasion (the most anterior point of the frontal-nasal suture) perpendicular to the Frankfurt plane.16 Restoration of mandibular and chin projection is essential when treating age-related changes of the male lower face. In my experience, this is best achieved by layering soft tissue dermal fillers deep in the supra periosteal plane and at the level of the superficial fat.7 Mandibular remodelling can be restored at several points: gonial angle, prejowl sulcus, pogonium, gnathion and menton. Volume loss of the fat pads can be restored at the level of the superficial fat. Jawline projection can be achieved by placing soft tissue dermal fillers at the level of the latero-temporal superficial fat pad. The superficial fat pad planes of the chin can also be used to restore projection and camouflage a melomental fold or jowl. Hypertonic or hypertrophic muscles can be relaxed by using neuromodulators; however, this should be performed after adequate volume restoration with dermal fillers as the position of the lower face musculature can be influenced by loss of volume in the underlying and overlying tissues that occurs during ageing.9,17 When treating male patients, I use the trademarked ‘MascuLook’ concept, which was developed by German-based cosmetic surgeon Dr Sina Djalaei. 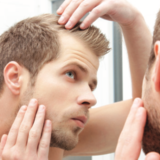 This approach aims to highlight and restore masculine features. In particular: anterior mid-face projection, lateralise and define the jawline. It also defines and gives anterior projection of the chin and chin line. 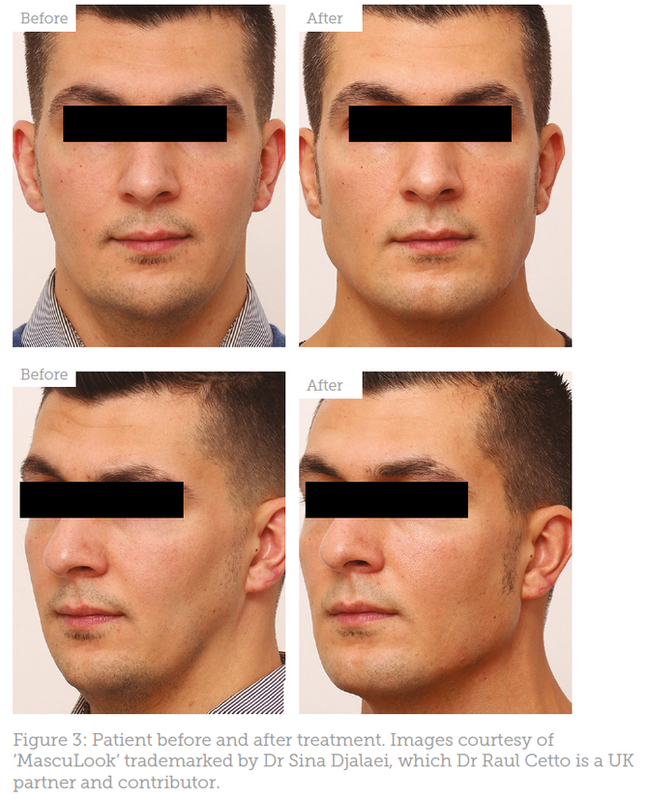 Bony and fat volume restoration should be the first step in treating age-related changes in the male face and this can be achieved with soft tissue dermal fillers using a targeted layered approach. The second step is to use neuromodulators to relax hypertonic or hypertrophic muscles, if required. Treatment of the lower third of the face can be challenging and requires in-depth knowledge of facial anatomy. This allows the practitioner to avoid danger zones and perform effective, safe treatments. The chin is a critical component to the perception of facial attractiveness and a defining characteristic of the male patient and therefore reshaping the jawline can provide a significant improvement to facial ageing. An uninterrupted jawline with adequate mandibular and chin projection is a sign of youthfulness and of particular importance when treating age-related changes of the male face. 2. Monheit GD, Prather CL. 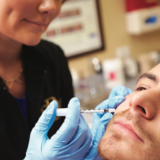 Hyaluronic acid fillers for the male patient. Dermatol Ther. 2007; 20(6): 394-406. 3. Schmerler J, Your Facial Bone Structure Has a Big Influence on How People See You. Scientific American. June 2015. 4. Torodov A, Baron SG, Oosterhof OO. Evaluating face trustworthiness: a model based approach. Soc Cogn Affect Neurosci. 2008 Jun; 3(2): 119–127. 5. Wieczorek IT, et al. 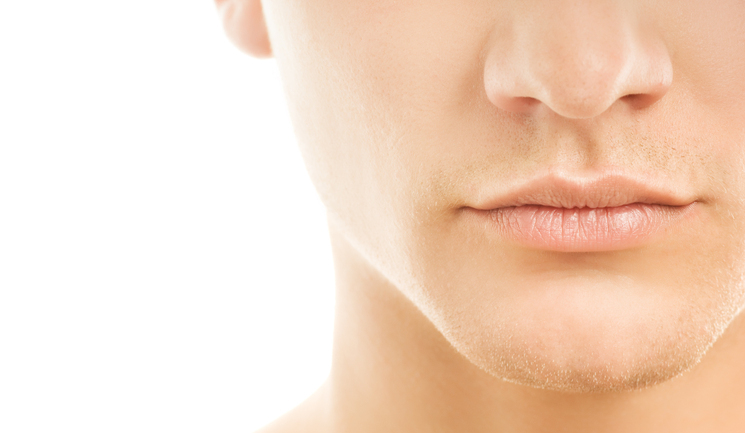 Injectable Cosmetic Procedures for the Male Patient. J Drugs Dermatol. 2015;14(9):1043-1051. 6. Mommaerts MY. The ideal male jaw angle e An Internet survey. Journal of Cranio-Maxillo-Facial Surgery 44 (2016) 381e391. 7. de Maio, M. Ethnic and Gender Considerations in the Use of Facial Injectables: Male Patients. Plastic and Reconstructive Surgery. November Supplement, Volume 136, Number 5S 2015. 8. Reece EM, Pessa JE, Rohrich RJ. The mandibular septum: anatomical observations of the jowls in aging-implications for facial rejuvenation. Plast Reconstr Surg. 2008;121:1414–1420. 9. Braz A, et al. Use of Fillers in the Lower Face. Plastic and Reconstructive Surgery. November Supplement 2015. Volume 136, Number 5S. 10. Marur T, Tuna Y, Demirci S. Facial anatomy. Clin Dermatol. 2014;32:14–23. 11. Pessa JE, Rohrich RJ. The lips and chin. In: Pessa JE, Rohrich RJ, eds. Facial Topography, Clinical Anatomy of the Face. Missouri: Quality Medical Publishing; 2012:251–291. 12. Lee JY, Kim JN, Yoo JY, et al. Topographic anatomy of the masseter muscle focusing on the tendinous digitation. Clin Anat. 2012;25:889–892. 13. Pessa JE, Rohrich RJ. The cheek. In: Pessa JE, Rohrich RJ, eds. Facial Topography, Clinical Anatomy of the Face. Missouri: Quality Medical Publishing; 2012:47–93. 14. Mendelson B, Wong CH. Changes in the facial skeleton with aging: implications and clinical applications in facial rejuvenation. Aesth Plast Surg 2012;36:753–60. 15. Coleman SR, Grover R. The anatomy of the aging face: volume loss and changes in 3-dimensional topography. Aesthet Surg J 2006;26:S4–9. 16. Vanaman MJ, et al. 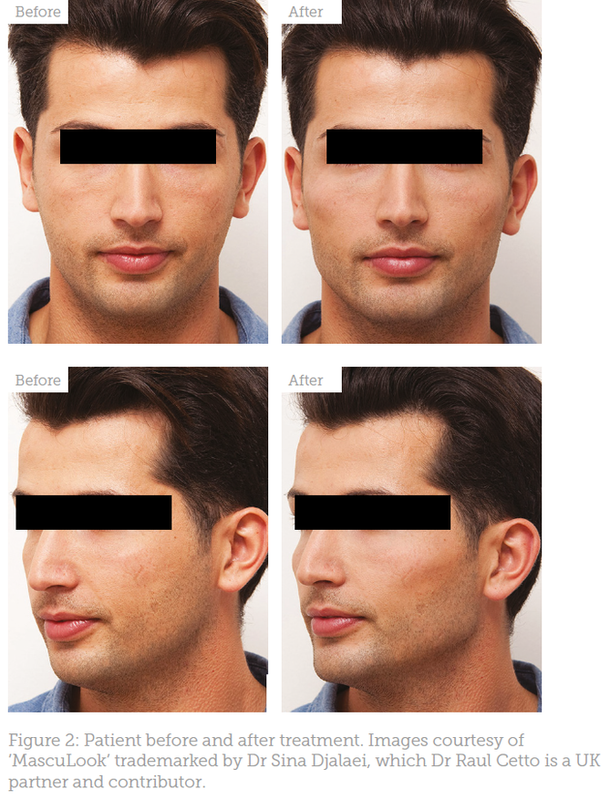 Role of Nonsurgical Chin Augmentation in Full Face Rejuvenation: A Review and Our Experience. Dermatol Surg 2018;00:1–9. 17. De Maio M. Myomodulation with Injectable Fillers: An Innovative Approach to Addressing Facial Muscle Movement. Aesth Plast Surg (2018) 42:798–814. 18. Mendleson B & Wong CH, ‘Changes in the Facial Skeleton with Aging: Implications and Clinical Applications in Facial Rejuvenation’, Aesth Plst Surg, (2012) 36:753–760.